Our last tea party, with an autumnal theme, was held at Medwall Court in Thornhill. Fitting for the theme, it was a suitably blustery day! 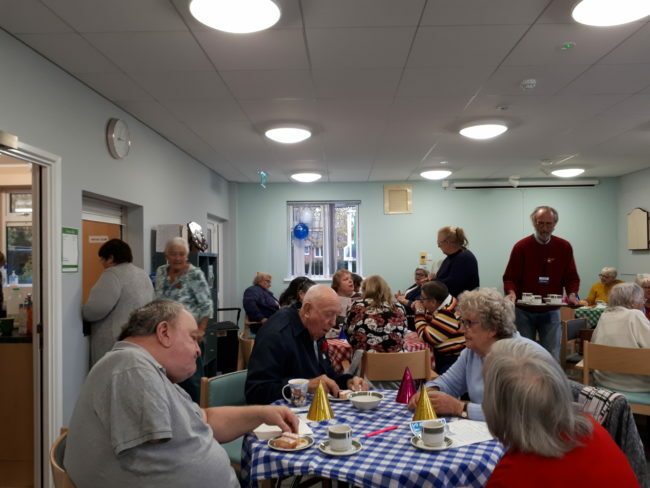 But thankfully that didn’t deter guests from attending – we had a wonderful turnout, with both Communicare clients and a number of residents from the court coming along to join the fun. As well as enjoying the usual spread of sandwiches, cakes and quiz, some tried their hand at a craft: autumn wreath making, which seemed to go down well.